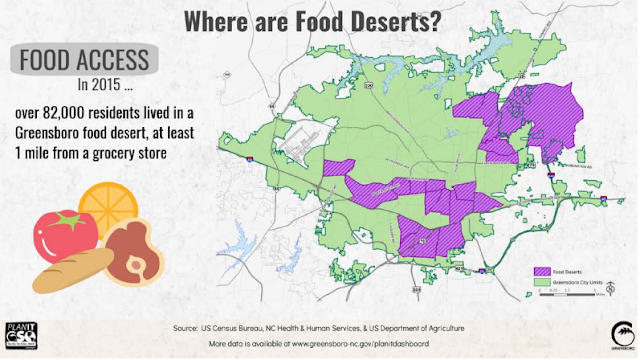 "Even with the gain in service industry employment, Greensboro did not keep pace with other top ten North Carolina cities." 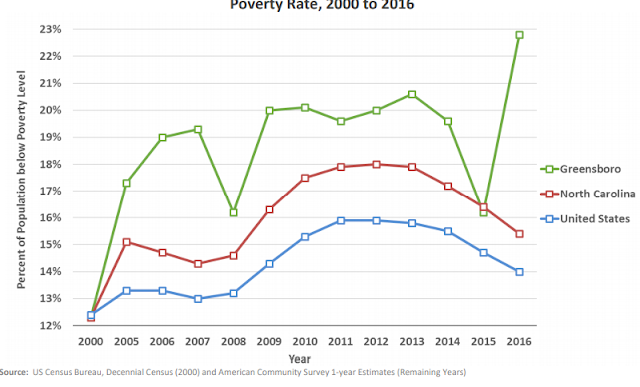 With the exception of 2015, the poverty rate in Greensboro has been higher than state and national rates since 2005. 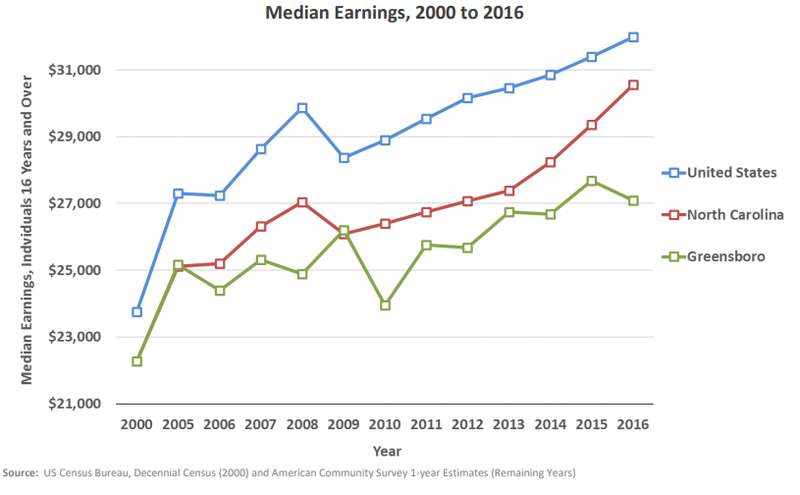 • Median earnings in Greensboro have increased, but lag behind state and national averages, as well as behind several of the top ten cities in North Carolina. 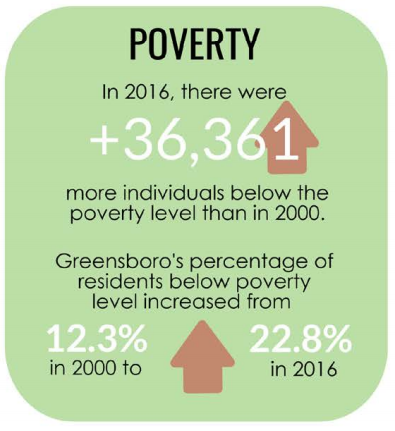 • Combined costs of housing and transportation in Greensboro in 2015 were higher than the national average and higher than many of the top ten cities in North Carolina. 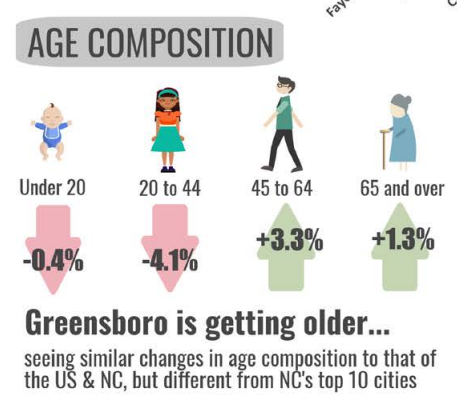 Since 2000, the increasing percentage of Greensboro’s population attaining either a high school education or bachelor’s degree has not kept pace with the state or the nation. Guilford County’s infant mortality rate has increased since 2000. Since 2008, the overall condition of street pavement dropped by 40%. Ten bridges in Greensboro are structurally deficient and an additional twelve are functionally obsolete. be indirectly advocating a political system other than capitalistic democracy? 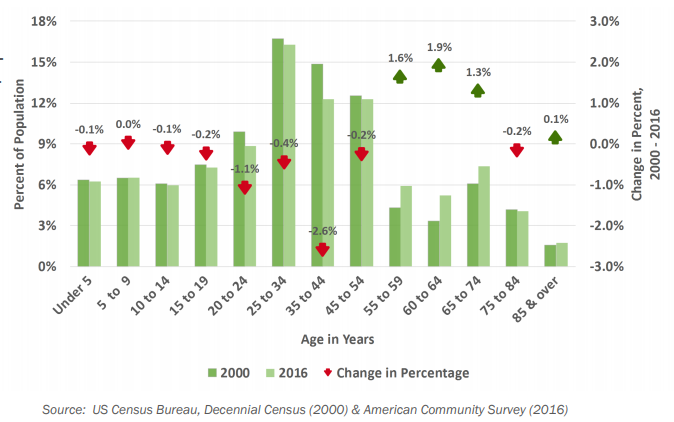 what’s going to happen when more retirees want what fewer workers may not be able to deliver? 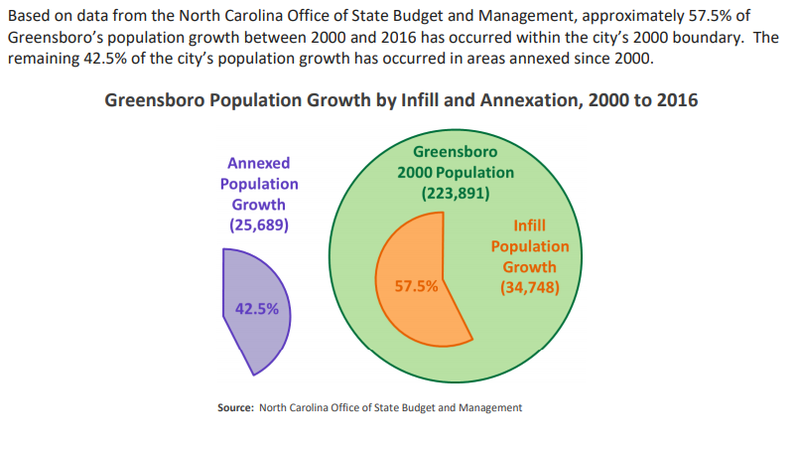 "Greensboro’s population has grown by 28.2% since 2000, more than the state and national growth rate..."
...Much of Greensboro’s total population growth since 2000 is attributed to annexation (42.5%)." 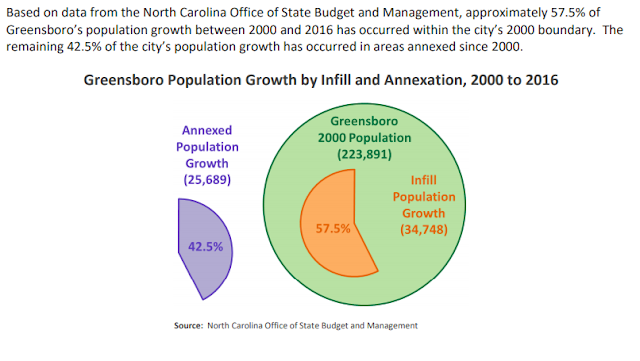 "Although Greensboro’s population density increased between 2000 and 2016, most comparable North Carolina cities experienced significantly greater increases." with the help of a compliant press? can always depend on the support of Paul. Median earnings in Greensboro have increased, but lag behind state and national averages, as well as behind several of the top ten cities in North Carolina. 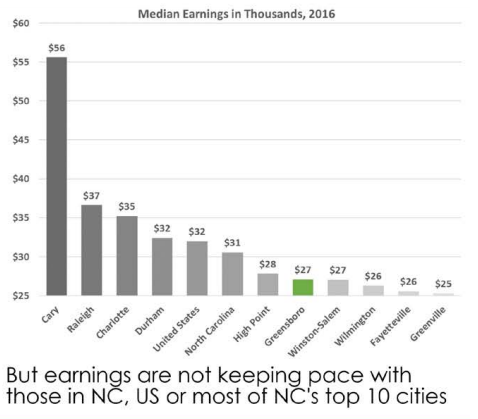 Combined costs of housing and transportation in Greensboro in 2015 was higher than the national average and higher than many of the top ten cities in North Carolina. Socioeconomic disharmonies will likely increase. They’re insulated from many of the effects of their decisions. Current Greensboro City Council Members and Candidates for local elected office, should be prohibited from accepting campaign contributions from board members of organizations, developers, contractors or their lawyers or agents who have or may receive taxpayer funded contracts or monies, for 12 months before and after doing business with Greensboro’s government.